Welcome to this beautiful stone, ranch style home on a corner lot! 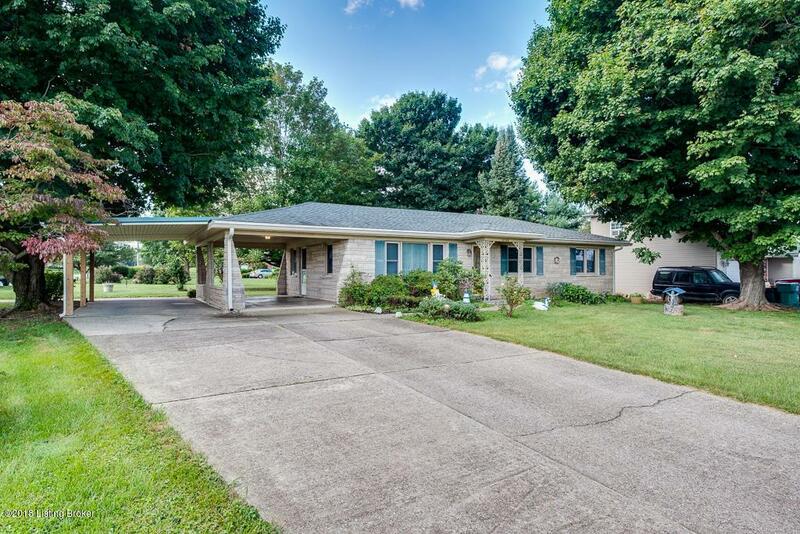 This house is located in a great school district, with Bullitt East right down the street. When you walk inside, you will notice all of the updates made to this house. Upgrades included are new cabinets and double-hung windows. The air conditioning unit and septic tank are less than 1 year old. The water heater is only 4 years old. In addition to these updates, the kitchen, hallway, and utility room all have new flooring. When you walk outside you will notice the roof that was replaced just 6 years ago. This house is featured with 2 car ports; one of which was recently added about a year ago. Walk around to the backyard and you will notice 2 out buildings: one is 12x12 and the other 14x10. This house is a true gem andand won't last long!